Christmas Baby Reindeer Light. 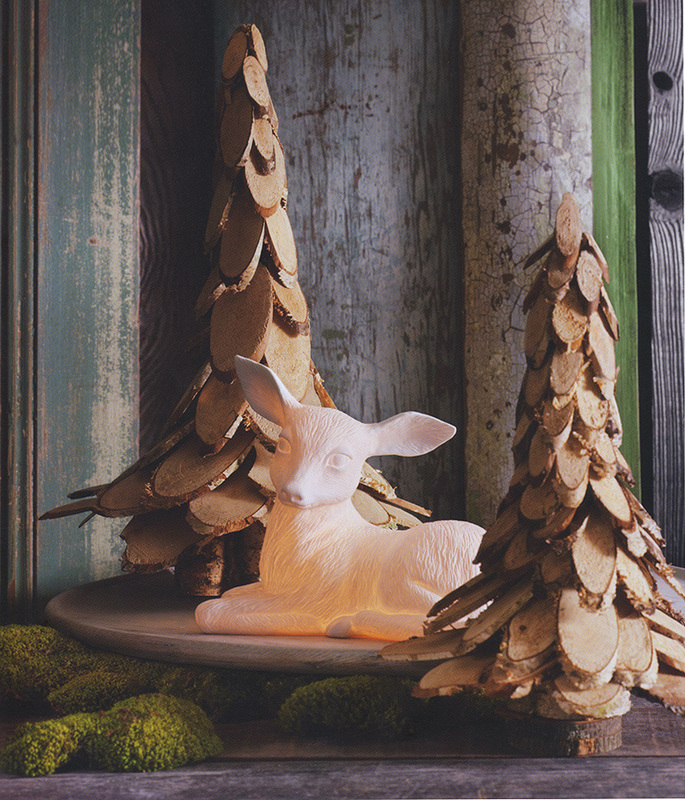 Our beautiful luminous Baby Deer porcelain table lamp is the perfect accent in your holiday interior decor. This beautiful table lamp was sculpted after a baby Fawn and features amazing details. A beautiful and highly decorative lamp, meticulously crafted from high quality white porcelain with an elegant matte finish. This beautiful lamp emits a soft ambient light at night which creates a rich and warm atmosphere. Our inspired by nature luminous Baby Deer porcelain table lamp is a true heirloom piece, to be cherished for many years to come. Uses a 10 watt max light bulb (included) which emits a worm, soft light. Made with UL listed components. We've got plenty of Christmas and holiday decorating ideas which will make it easy to transform your house into a warm and inviting place for the holidays. We've brought together many holiday favorites and added a new and unique selection of holiday gift ideas which we hope will bring you much delight. Transform your interior in the blink of an eye with our unique Christmas decor ideas collection. For a refreshing modern take on the holidays, shop our unique selection of hand picked Christmas gifts and decorative objects. Christmas is all about creating the right atmosphere so check out our amazing collection of wonderful Christmas ornaments, our attractive Christmas Trees, wreaths, Christmas lighting, our beautiful Christmas-tree shaped wooden advent tree, tabletop decor, jewelery and a wide variety of Christmas presents. Discover the best Christmas shop around with a wide selection of meaningful gift ideas and unique and highly decorative interior. Shop nova68 for the best in Christmas and Holiday decor. Usually ships in 2-4 business day.